2LT. 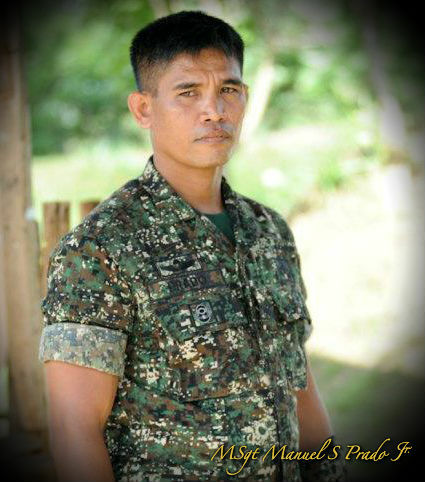 Manuel S Prado Jr.
A true warrior and master of Kali (Filipino Martial Arts), 2nd Lieutenant has dedicated over 20 years in active military service with the Philippine Force Recon Marines. 2LT. Prado has battled using his military and Kali training and skill sets in the active war zones of the Southern Philippines on the island of Mindanao in provinces such as Basilan, Jolo, Sulu, Tawi-Tawi, Cotabato and Lanao Marawi, Davao, and Zamboanga. 2LT. Prado will be officially retiring as the Chief Master Instructor of the Philippine Marine Martial Arts Program, of the Armed Forces of the Philippines, and of the Philippine National Police. 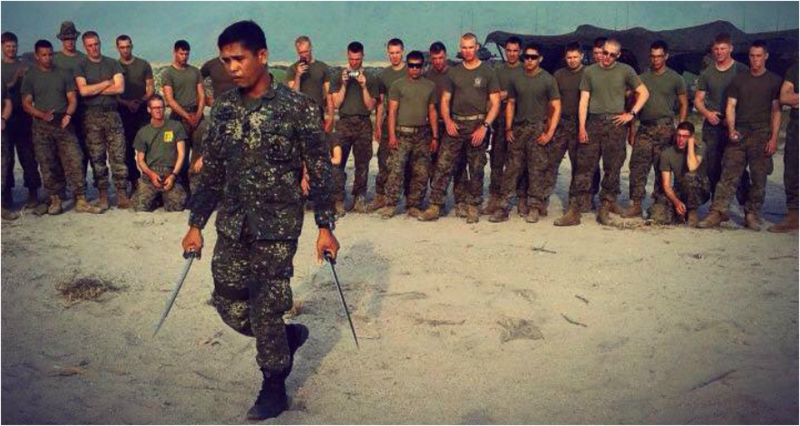 Recently, he has shared the Kali knowledge with the United States Marine Corps, stationed in the Philippine Islands, as they seek out elite close-quarter blade combat skills. 2LT. Prado is a master blade forger. He uses the same blade crafting techniques passed down to him through his family's generations. 2LT. Prado hand crafts the best fighting bolos and combat knives for the Philippine Marine Corp - blades that are proven and prepared for action in real combat. At the age of 5, Manuel learned his martial arts from his grandfather and father, who was a guerrilla warrior during the Japanese occupation in 1940-1944. He learned together with his older brother Samuel. Prado's father was an expert in "Espada Y Daga," "Dumog," and "Judo." He trained Manuel in the techniques he used as a guerrilla warrior when fighting the Japanese colonizers. The training continued until Manuel reached high school. The Kali Methodology applied by his father was then known as " Doce dos metodo contradas." Prado and his brother grew up with the martial arts as their daily play-and-games routine. Prado was just in his second year of his Bachelor of Science in Criminology at the Philippine College of Criminology when he chose to train as a candidate soldier in the Philippine Marine Corp, a branch of the Armed Forces of the Philippines - the Elite force of the Philippine Navy. Upon retirement from the military, 2LT. Prado envisions himself as a leader in the propagation of FILIPINO MARTIAL ARTS - KALI SYSTEM within the Philippines and, if given the opportunity, across the free world. He continues to hand forge the best Filipino Fighting Blades which are now distributed worldwide through Top Prado Blades®.